Inverness-shire is Scotland’s largest county, with attractions ranging from ancient castles to the Loch Ness. There are some fantastic walking and hiking opportunities for active group holidays, as well as opportunities to relax and unwind at various Whiskey distilleries. The town of Aviemore is the perfect destination for groups looking for an active holiday. Cairngorms National Park is popular for skiing and snowboarding, mountain biking, and hiking. We have a wide variety of large group holiday houses in Inverness-shire, from self catering cottages to luxury apartments, see the map below to choose your destination. 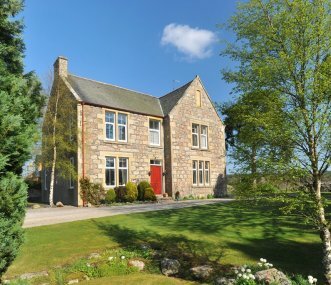 Recently renovated charming & substantial country house near Aviemore in the Cairngorm National Park. Sleeps 11 +2 in 6 bedrooms, all with modernised en suites. Comfortable & spacious. Pets welcome.